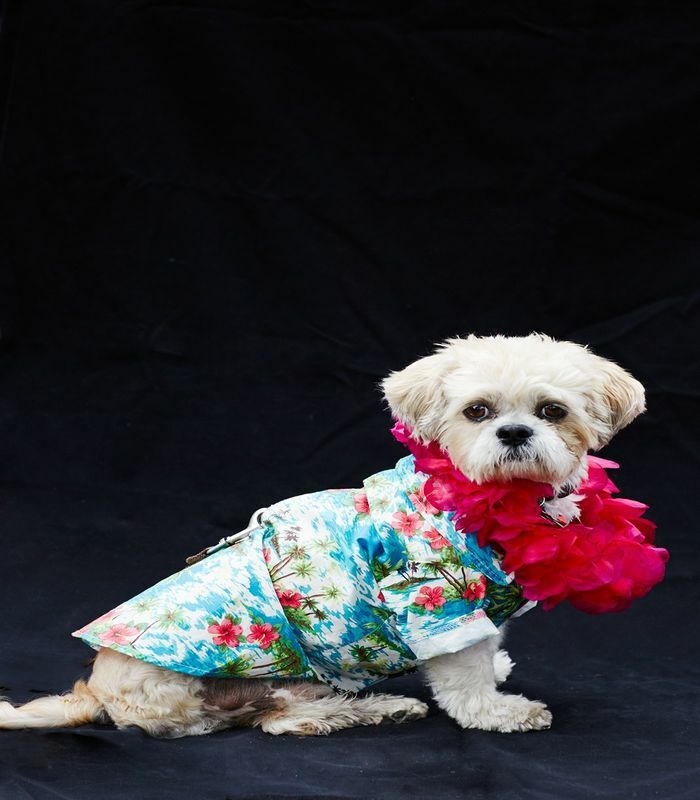 Do you know who looks the cutest during Halloween? 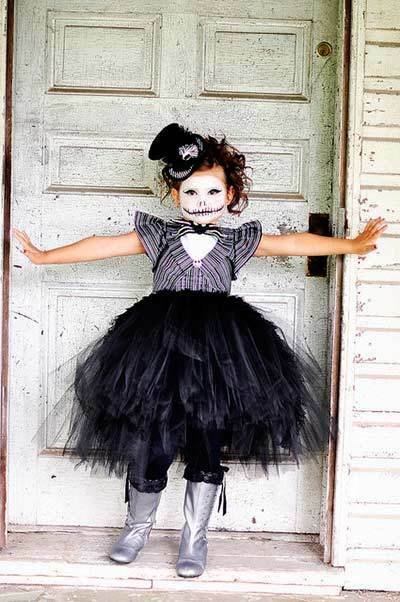 The pretty, little ladies, dressed as adorable, and sometimes spooky caricatures. 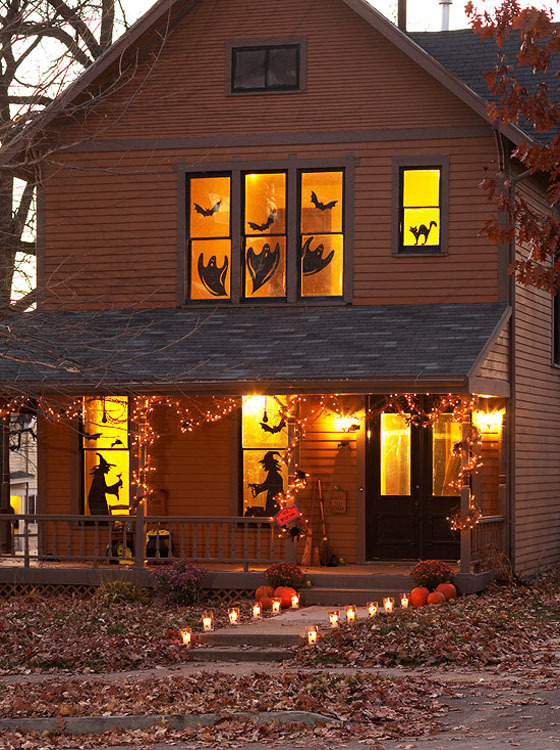 29 Most Pinteresting Halloween Costume Ideas the Will Scare The Hell Out of You! Halloween is indeed the holiday for children. They dress up in fun clothes, trick and treating and attend cool parties. But Halloween costumes for girls require a séance of creativity and imagination. 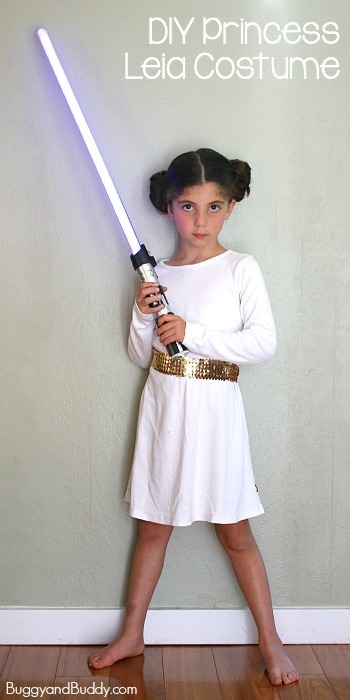 To inspire you a bit, we’ve got together a list of the best Halloween costumes for girls. From zombies and witches to princess and archer, we’ve covered everything for you. 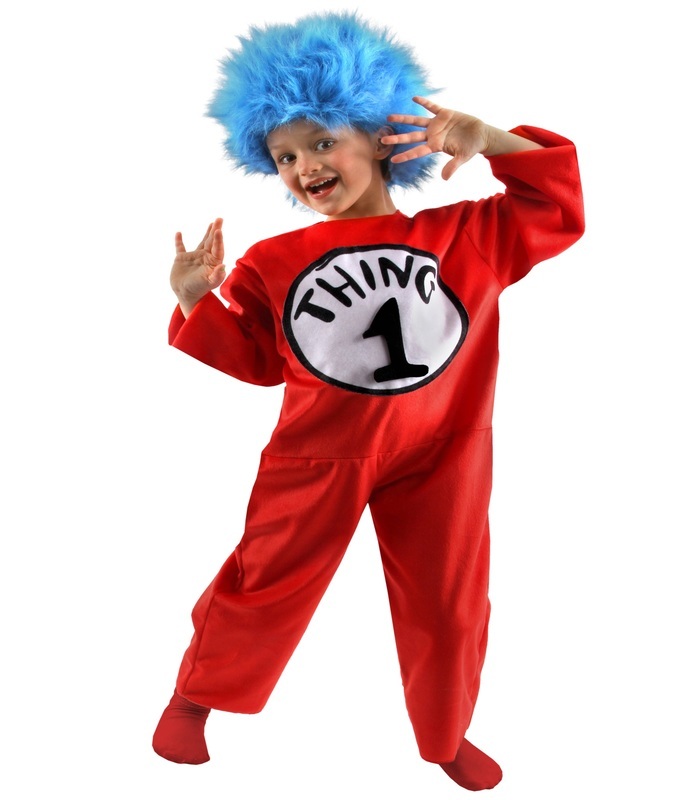 Just because Thing 1 was a boy, doesn’t mean you cannot use the costume for girls. 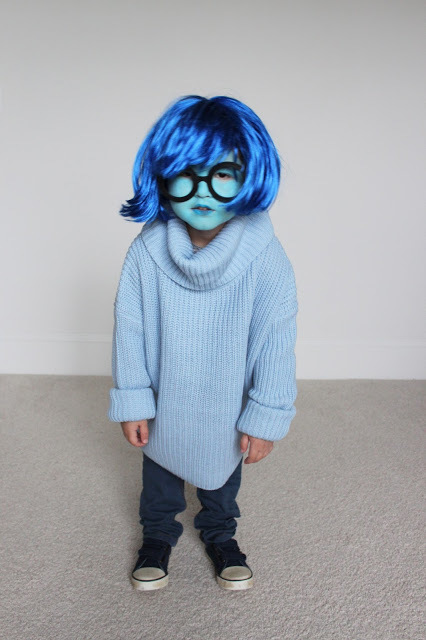 We feel it will be thoroughly cool making your girl a Thing 1 cosplay. Just hope she doesn’t get as wild as Thing 1. How can a girl as adorable as she be wicked? She looks more like Sansa to us. We’ll leave that to you to decide. Meanwhile, just get inspired by it. 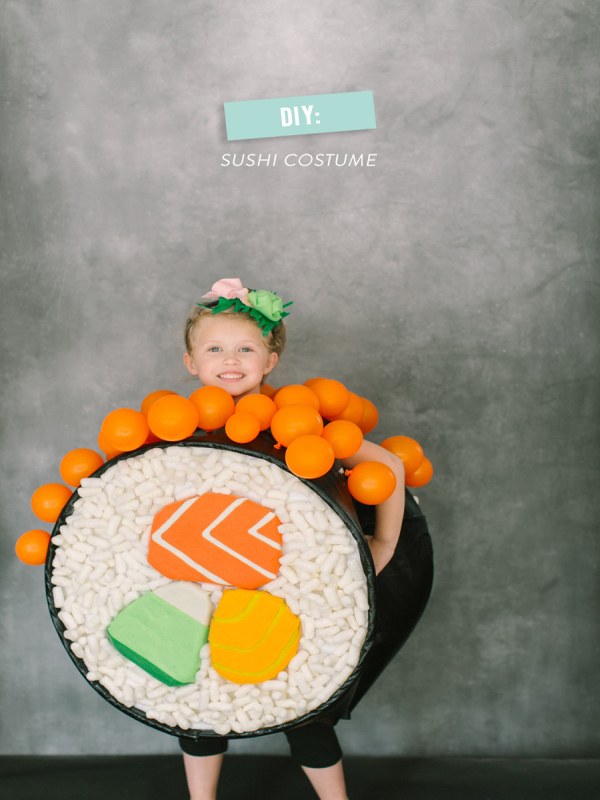 An excellent fix for last-minute Halloween costume. It doesn’t require much sewing and can be made by beginners as well. And we must say, no burglar can look as cute as this little child. If you’re a Pixar movie lover, you don’t need any introduction for this character. And just like the character Sadness, even the costume looks utterly adorable. This little child indeed looks like she has fallen from heaven. But don’t go by her innocent face. You never know what ideas she has devised for trick-or-trick. A complete badass costume for her. The dress is beautiful, but the accessories are even better. 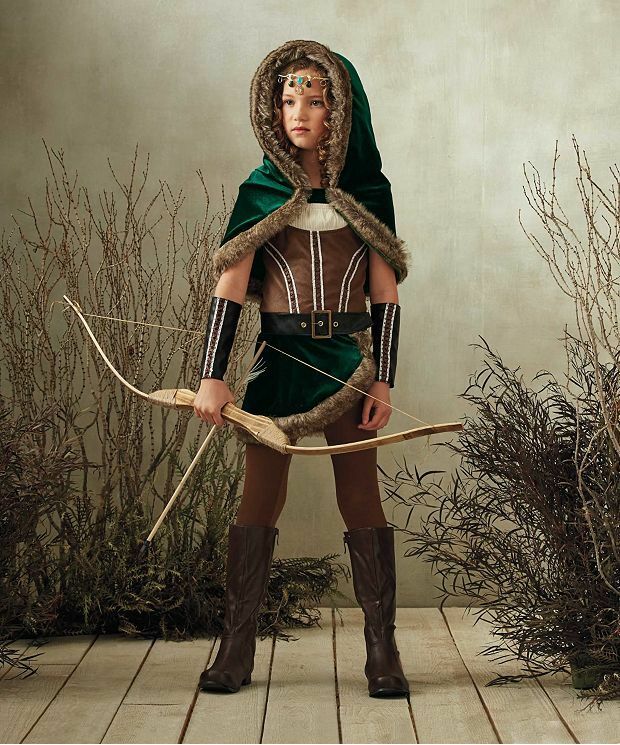 Do not forget the bow and arrow to accessorize the look. It seems like this zombie has risen from the dead to attend the prom night. 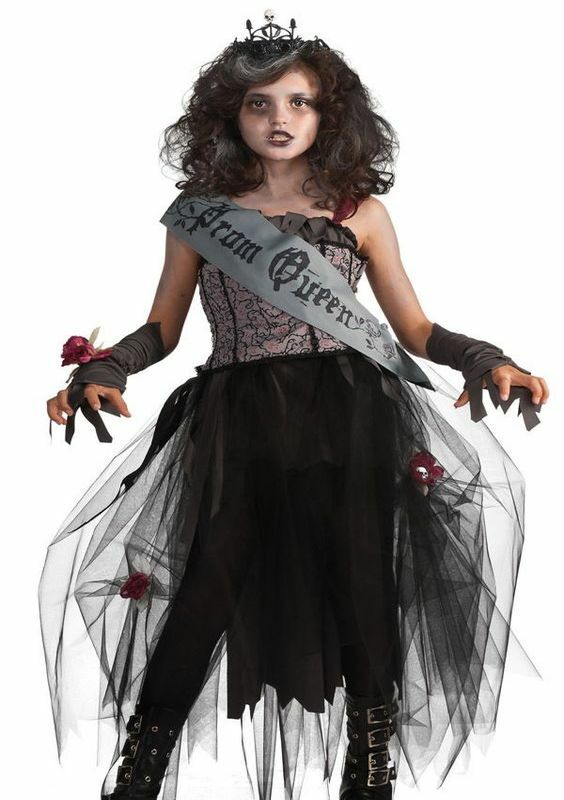 Or did she die while returning from a prom party, crowned as the Prom Queen? Whatever may be the story behind her, we think the costume is absolutely rocking. Devil has never looked so adorable before. 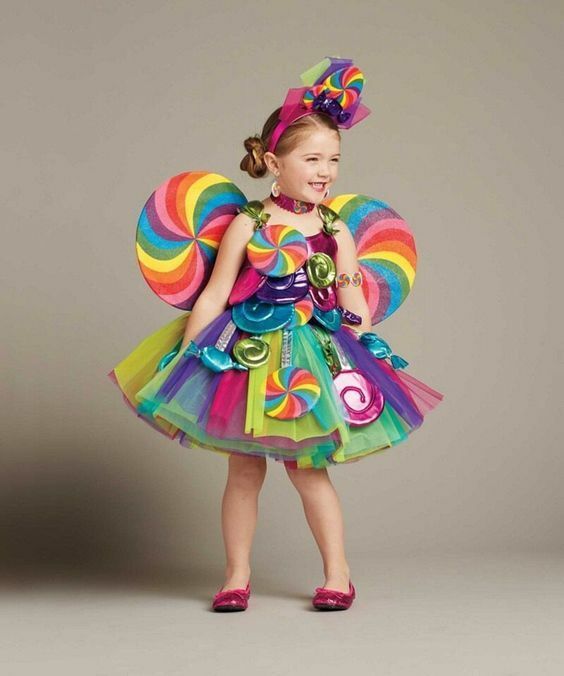 This dazzling bodice, complete with sequins will make your daughter look like a diva. 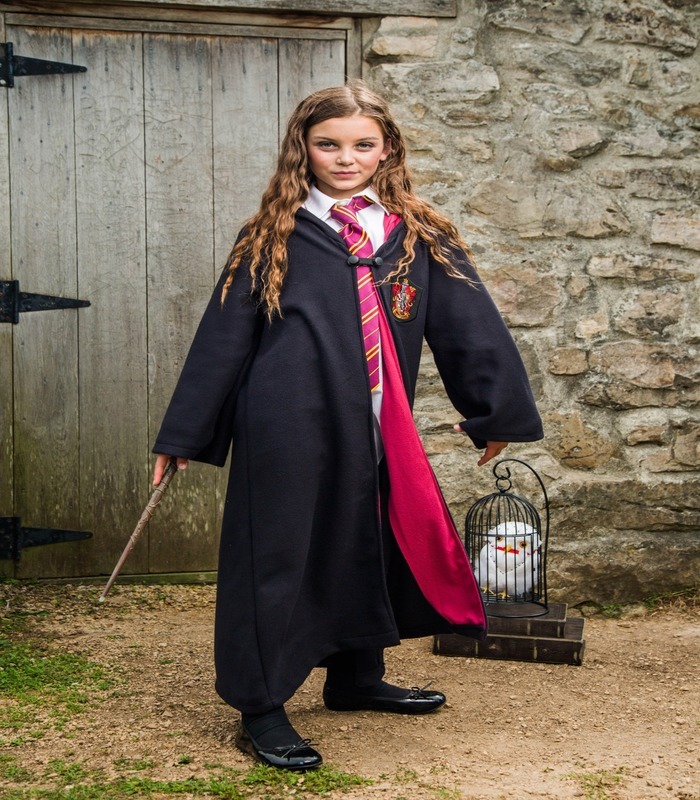 If your child wants to be the center of attraction in her Halloween party, dress her up as Hermione Granger. This smart girl will thrill everyone with her knowledge. With the release of “Suicide Squad,” the popularity of Harley Quinn has been soaring. 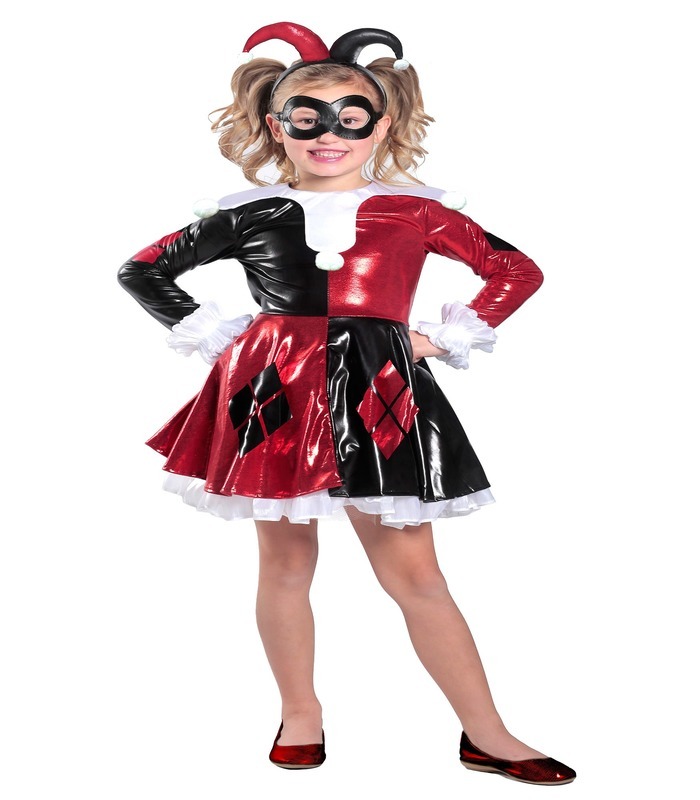 So keep with the trend and help your tween dress up as Harley Quinn for the Halloween party. How adorable does this dress look? And we’re sure it will look even better when your kid dresses up in it. This one’s too cute for us to take. 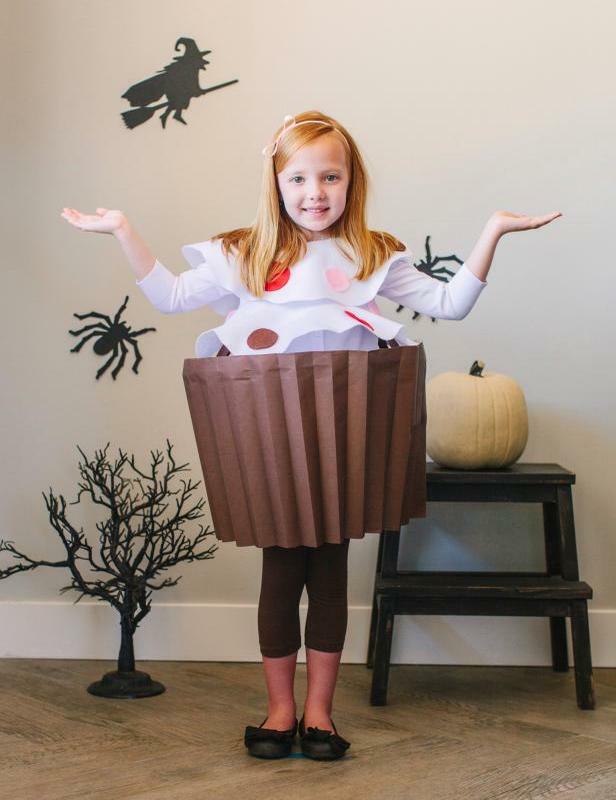 The little girl here is all set for the party, and we’re sure she will rock it as a cupcake. Who said girls have to wear only Minnie Mouse costume. 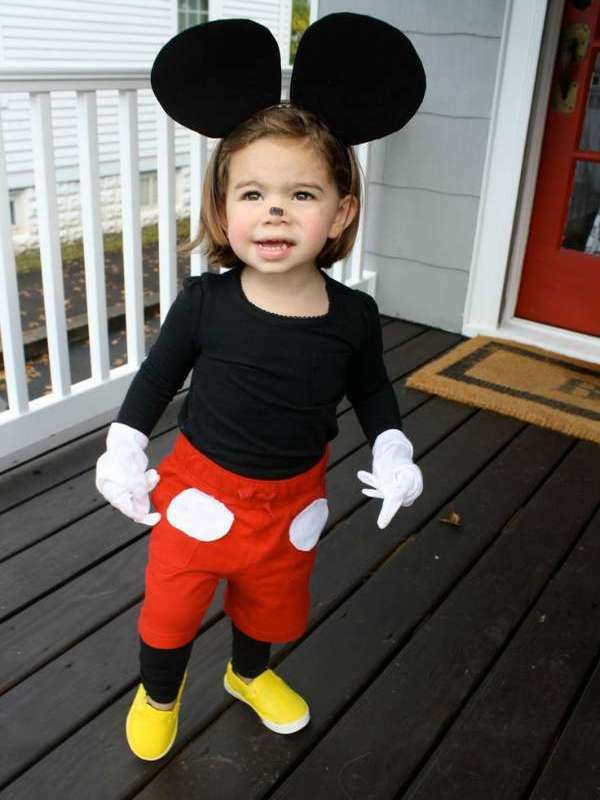 If they want, they can wear a Mickey Mouse costume as well. And the little girl here is totally rocking it. 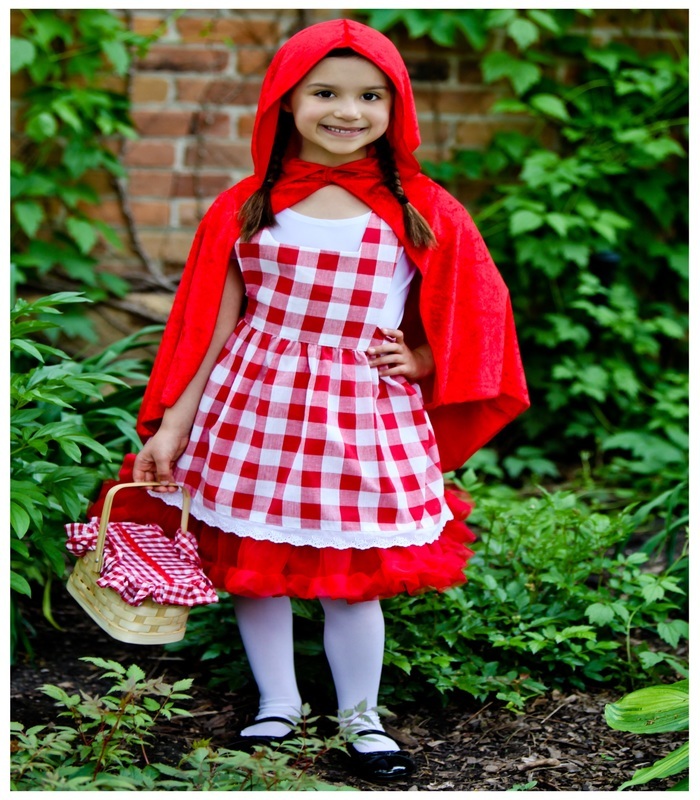 Here’s the smiling Little Red Riding Hood all set to meet her mother. She’s carrying all the snacks and goodies for her sweet grandmother. This outfit is indeed fun to wear. 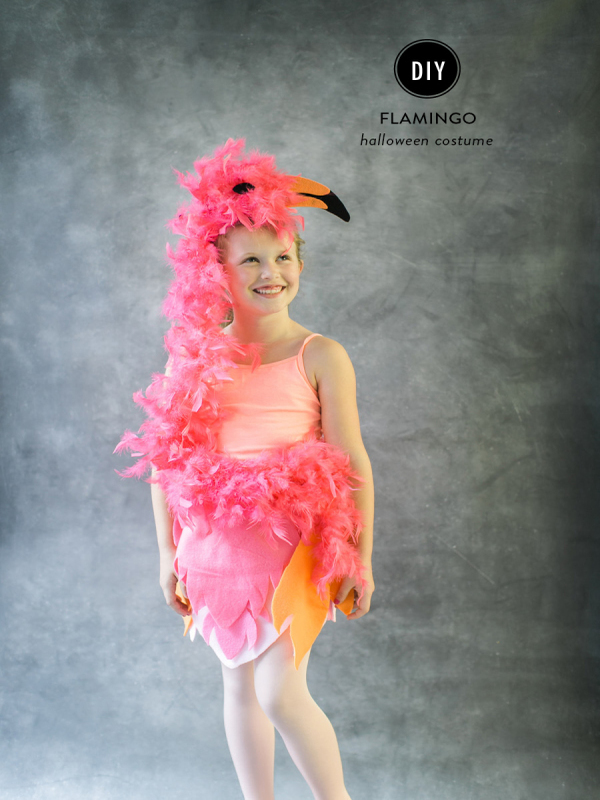 A brilliant way to make use of the feather boa. Really can’t believe that it’s a DIY outfit. We included the link for you to follow. 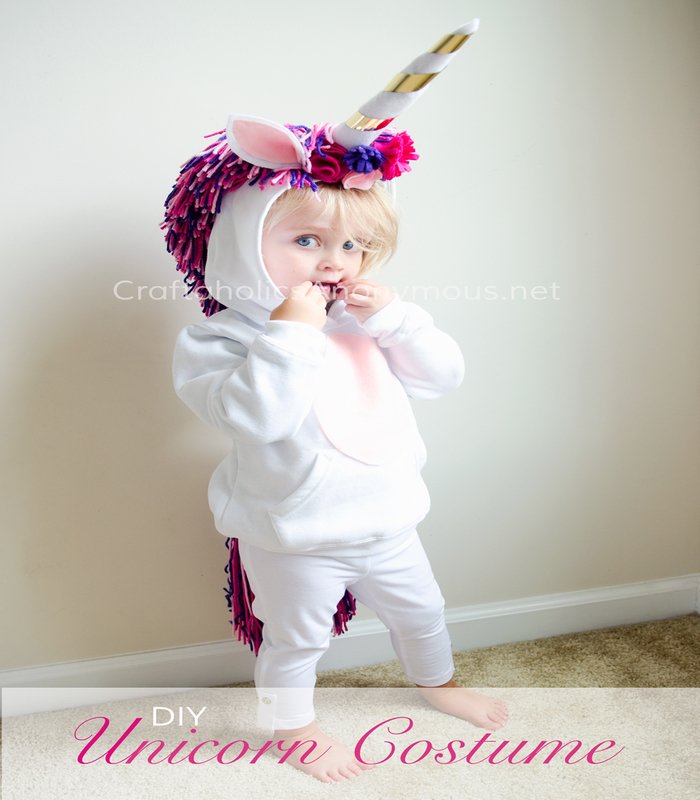 If your girl always insists on wanting a unicorn, turn her into one instead of this Halloween. She’ll be happy to play her favorite animal, at least for a day. Another excellent last minute costume. 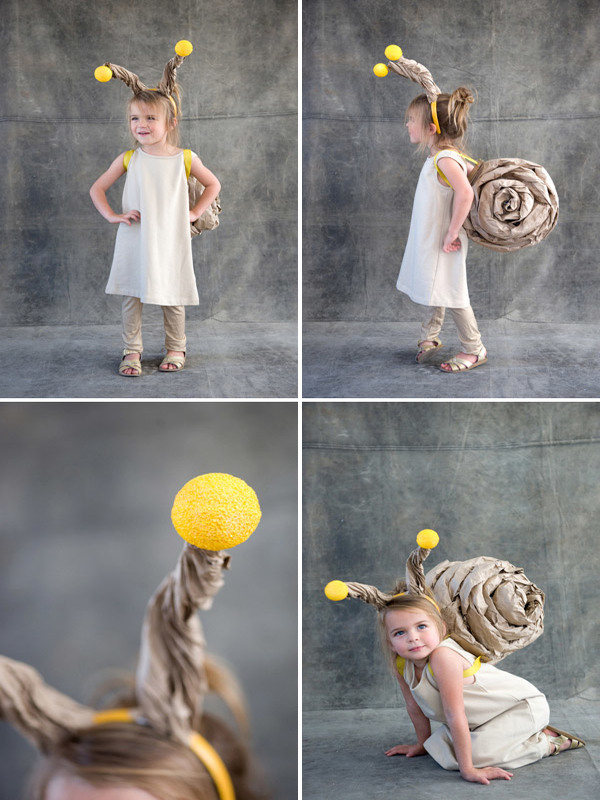 The shell can be made with brown craft paper, and the pompoms will work as the antenna. This has to be the most beautiful sushi around. We must say that the tiny balloons are adding a perfect touch. 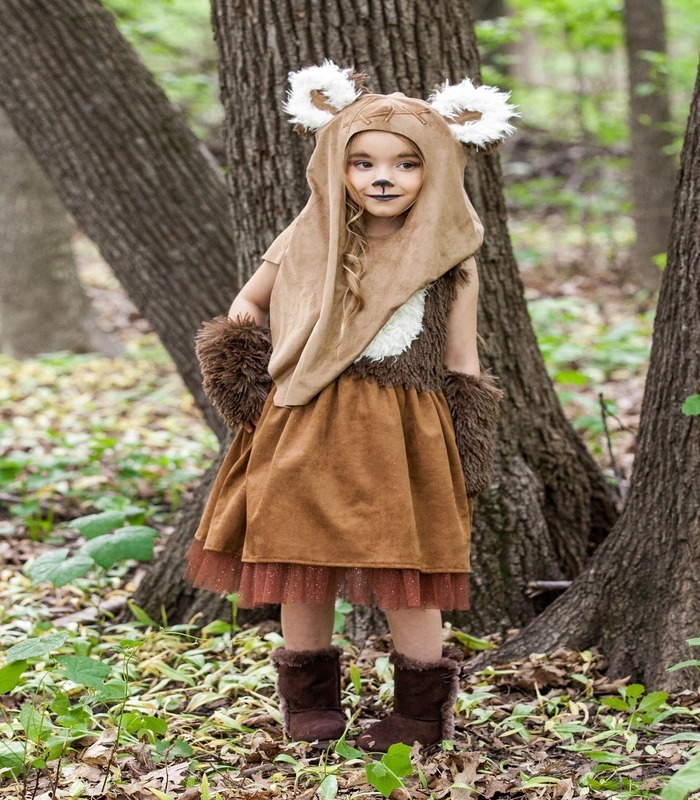 This Star Wars wicket dress would transform your little girl into the cutest George Lucas character ever. We loved the hood that has cute little ears attached. It will make her look that she has arrived from Endor. 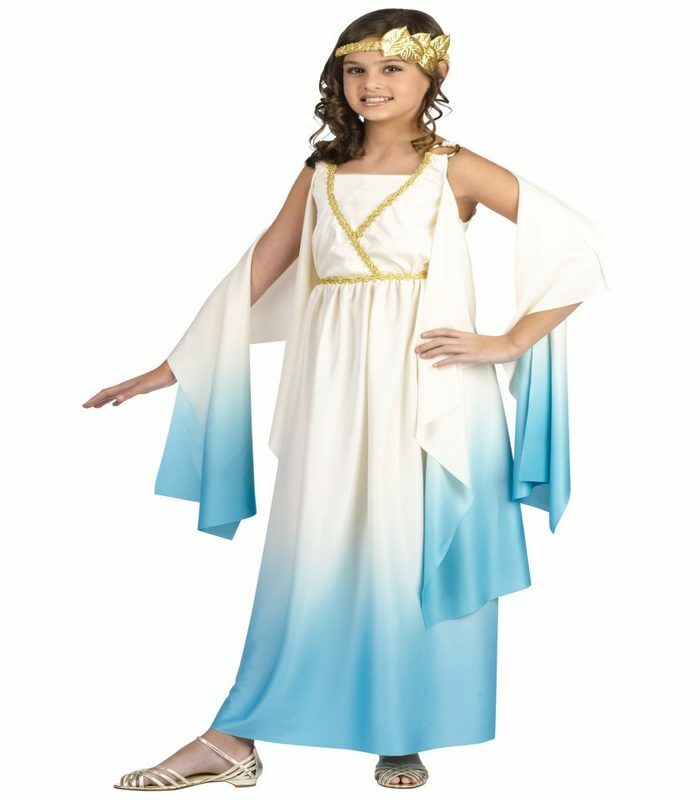 Unleash your love of history by dressing your daughter as a Roman Princess. It can never get more sophisticated and stylish. One of our favorites in the list. Wonder Woman is the ultimate superheroine in our opinion. She has strength, speed, and smartness, traits that each one of us want our daughters to have. 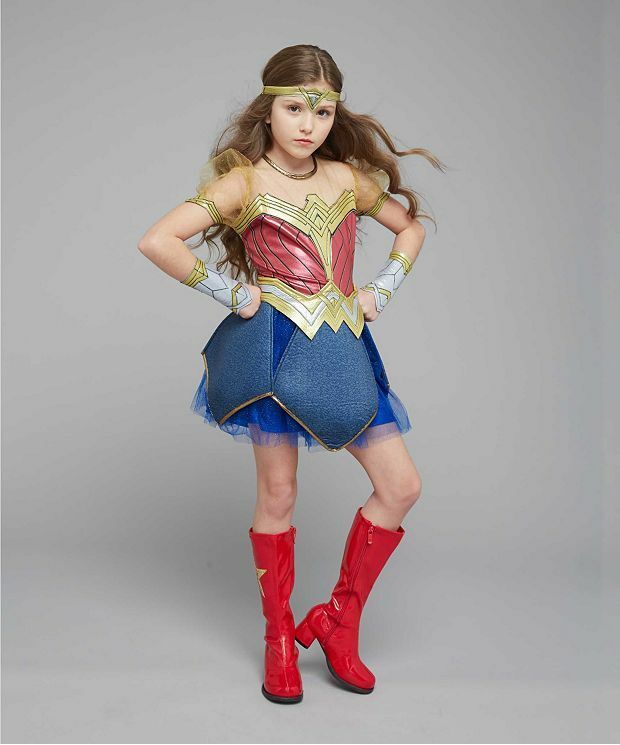 So how about dressing your daughter in the incredible Wonder Woman costume? 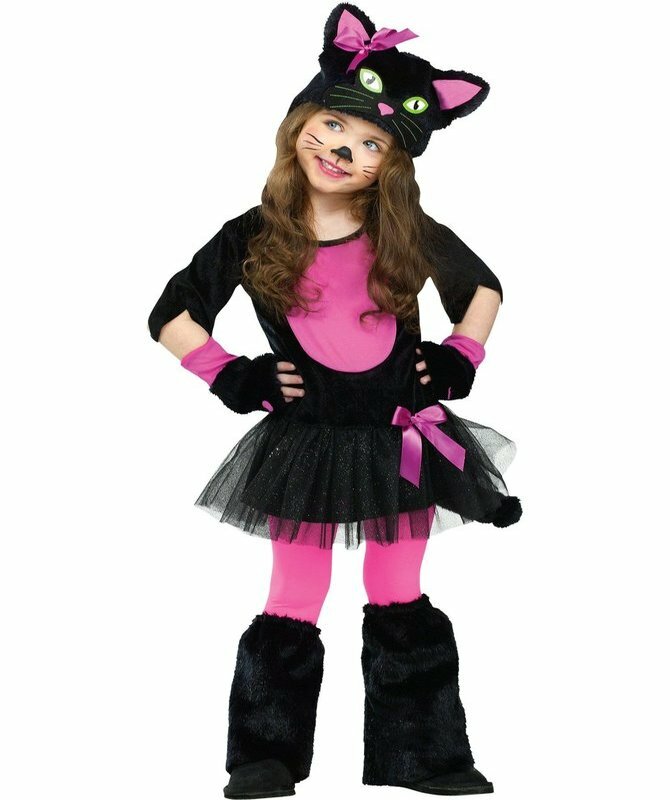 Your daughter is guaranteed to be the cutest cat in the Miss Kitty costume. This pink and black dress with furry mitten and tails will dazzle as she makes her way through the party. Another easy costume idea for girls. You just need a white tunic, a gold belt, and a light saber for this look. She will look stunning. This is the simplest way to recreate the look of Olaf. 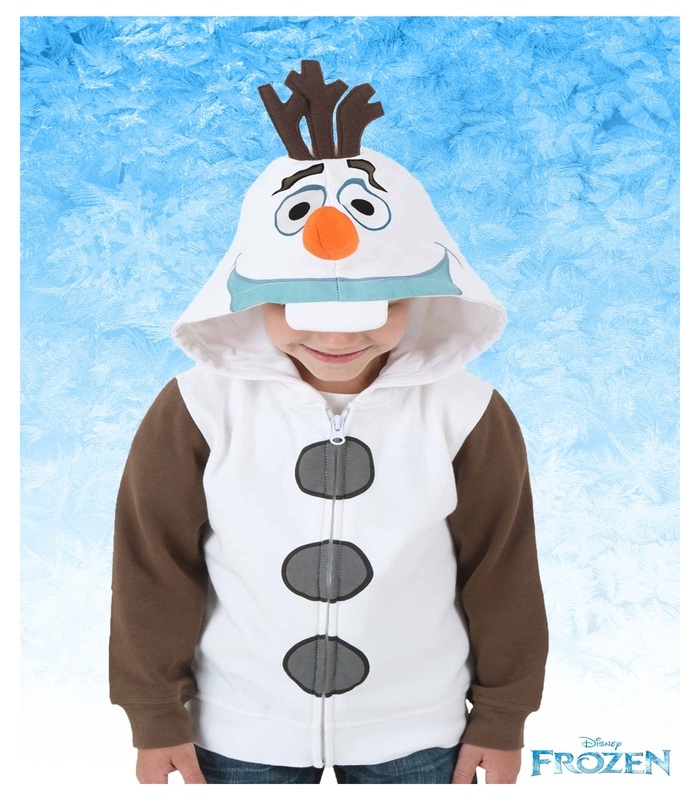 Just purchase an Olaf hoodie for your daughter, and she is ready to rock. Simple, yet effective. 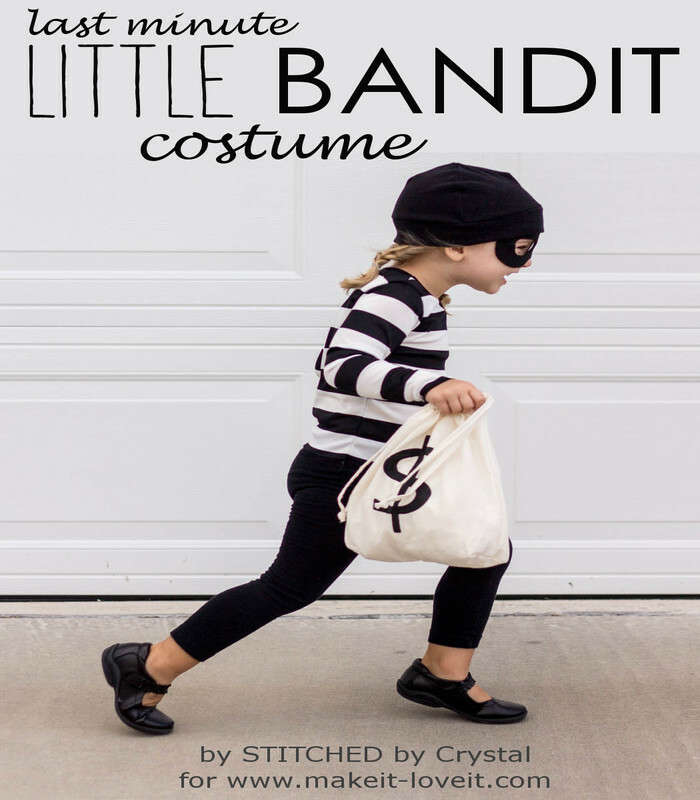 An ultimate Halloween costume for your little girl. 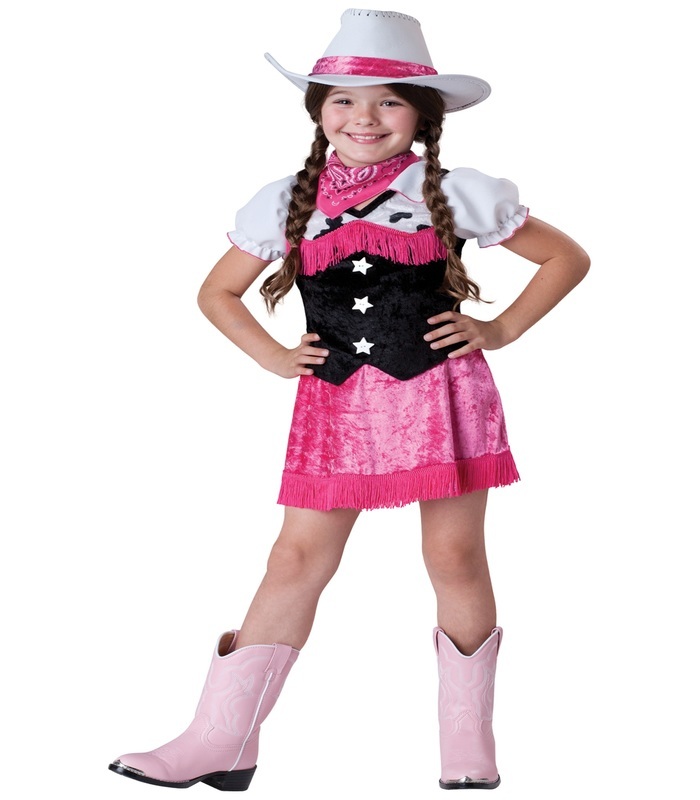 No matter what, the fad of cowgirl costume will never fade. 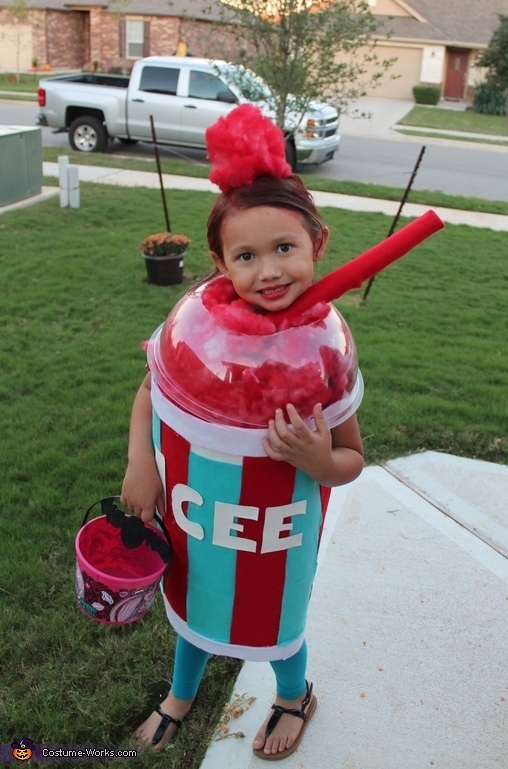 If your kiddo always stops the car to get some icee, you can try this costume for her. Indeed, a wonderful way to cool off! 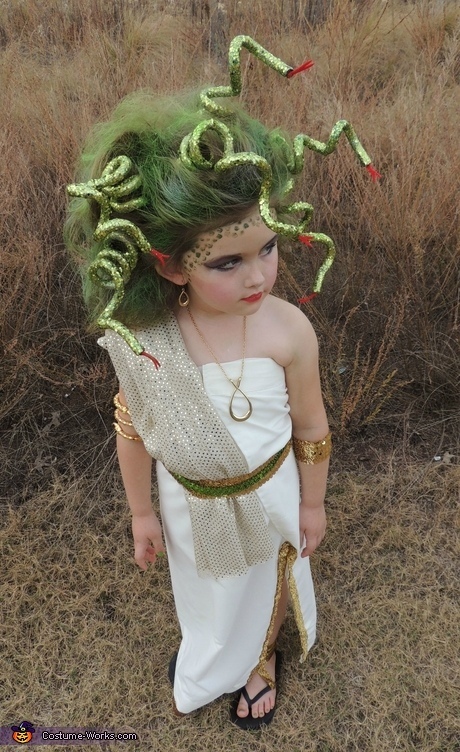 This creative costume, with snakes in the hair, is bringing the Greek villain to life. Do you think Medusa would be as cute as the one we see in the picture? We don’t know if mermaids exist or not, but that doesn’t mean your daughter cannot dress up like her. 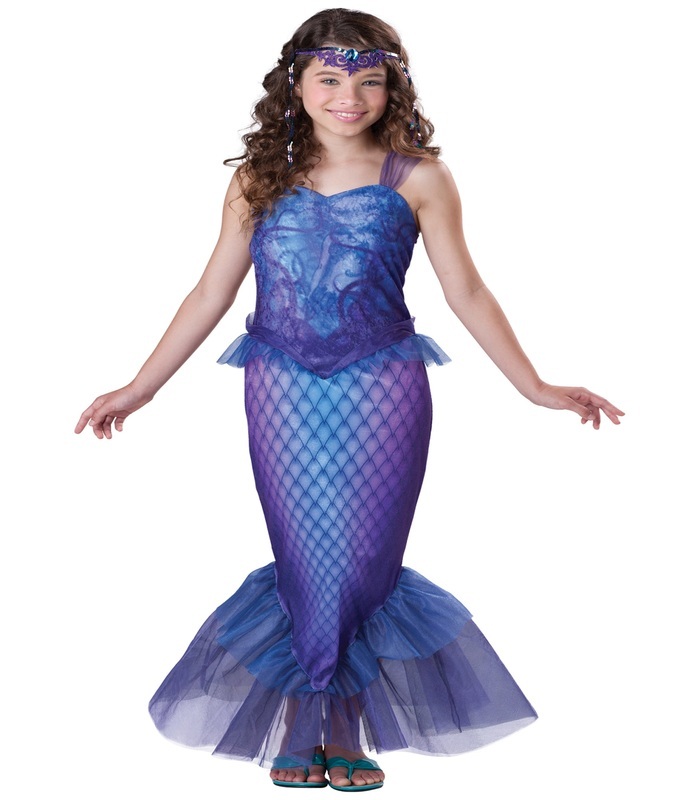 This mermaid bodice with matching headband couldn’t be more realistic.